It’s summertime in the Solar Village and the place is crawling with activity. 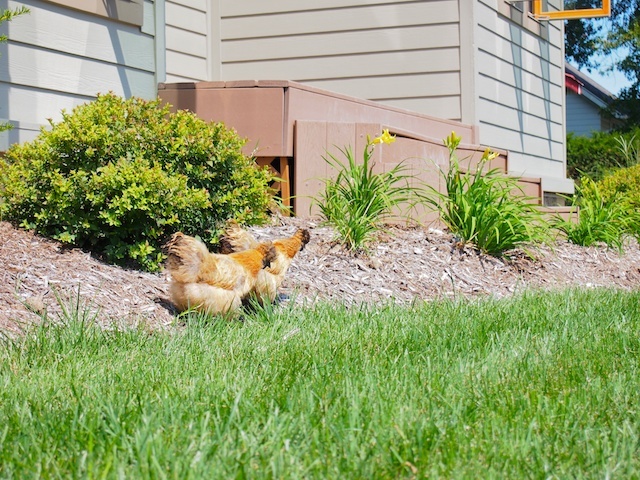 Ben, Director of Design and Construction for the Solar House Team, caught a glimpse of these cute, fluffy creatures running around the grounds- where could they have come from?! Dan and Sarah Oerther, of course! They have been living in the village since January of this year, and have taken steps to be more sustainable in their every day lives. This includes getting eggs right from their back yard. In a typical factory farm, chickens receive less than one square foot of space each. 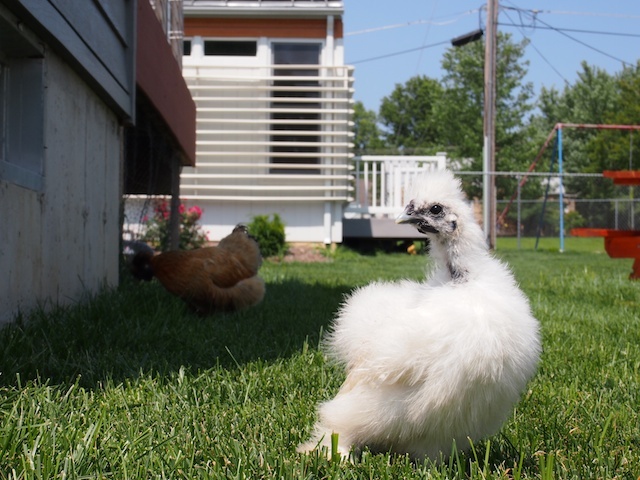 Based on the size of the Solar Village grounds, these happy hens are allowed to roam in over 11,000 square feet of grass, giving each chicken about 3,500 square feet of space. You can’t get anymore free range than that! They are also friendly enough for the Oerther’s 10-month old boy, Barney, to crawl around in the grass next to them. The hens produce plenty of free-range, cage-free eggs to feed the family and other Solar Village residents, such as myself. Now that the Village is full of residents, we will be posting more blogs about life in the Village, what’s been going on, and how we like living in our solar-powered, student-designed homes! Check back in soon.